Hands down! 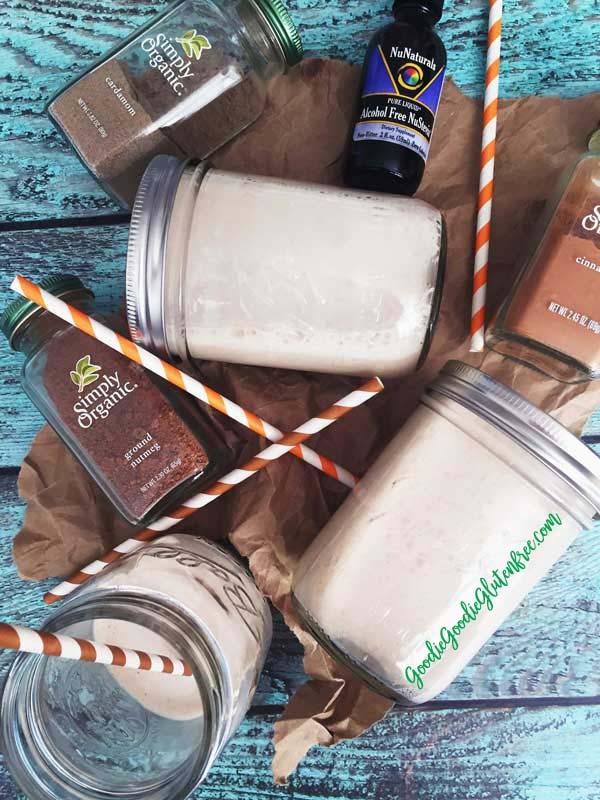 TigerNut milk is my favorite plant based milk and it’s really easy to make! Out of all the milks to make TigerNut and Hemp get the trophy for easiest to make because there is no soaking is required. As far as flavors go, my Cha Cha Chai TigerNut Milk recipe has a little something extra, a little PIZAZZ. Chai is usually made with Ginger, and I can’t have Ginger, so I always feel a tone of F.O.M.O when it comes to this delicious drink. Chai tea made with plant based milk is the best! So I decided to make my own ginger-free version of Chai milk using TigerNuts. And it came out stellar! I love using TigerNut milk in smoothies, warmed up as an evening delight, baking, pancake making and drinking it straight up on the rocks. It’s delish! Why TigerNuts? Well, TigerNuts are Nut-free even though the word nut lurks in its title. TigerNuts are actually a small tuber root veggie that is 100% Paleo, Gluten-free, allergy-friendly and Vegan!! Nope they don’t look like tigers (ha ha), but yeah they kinda look like cratered macadamia nuts. The outside is crunchy while the inside is sweet. TigerNuts are high in fiber (40% of your daily fiber high) and they taste good. For someone who can’t have tree-nuts or peanuts, even certain seeds or dairy, TigerNuts and TigerNut milks are a fabulous replacement! Why Organic Gemini TigerNuts? Because these babes are made in a dedicated gluten-free, grain-free, soy-free, peanut-free, tree nut-free and dairy-free facility. I love dedicated gluten-free facilities!! They are certified gluten-free, certified paleo, USDA organic, certified non-GMO, Vegan, Kosher and Cold-Pressed is a bonus. So for someone like me who has many food sensitivities including dairy-free, nut-free on top of being Gluten-free, TigerNuts are a dream! It’s a plant based alternative I will never say no to. I specifically remember when I first tried them. 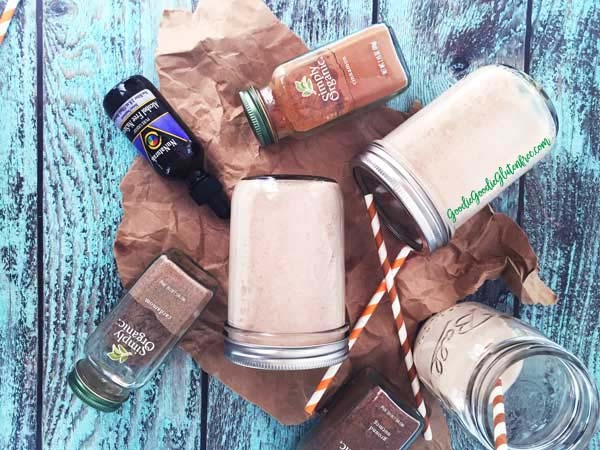 I had entered a contest giveaway never thinking I would win (circa Summer 2014 or 2015), also thinking if I did win, how on earth would I be able to try them given the 40+ food sensitivities I had. It’s not that I was sensitive to these TigerNuts, heck I had never had them before but the fear that something horrible would happen plagued me. I was afraid (petrified) to even try them. After that, I started ordering the TigerNuts in bulk so that I could make my own TigerNut plant based milk. 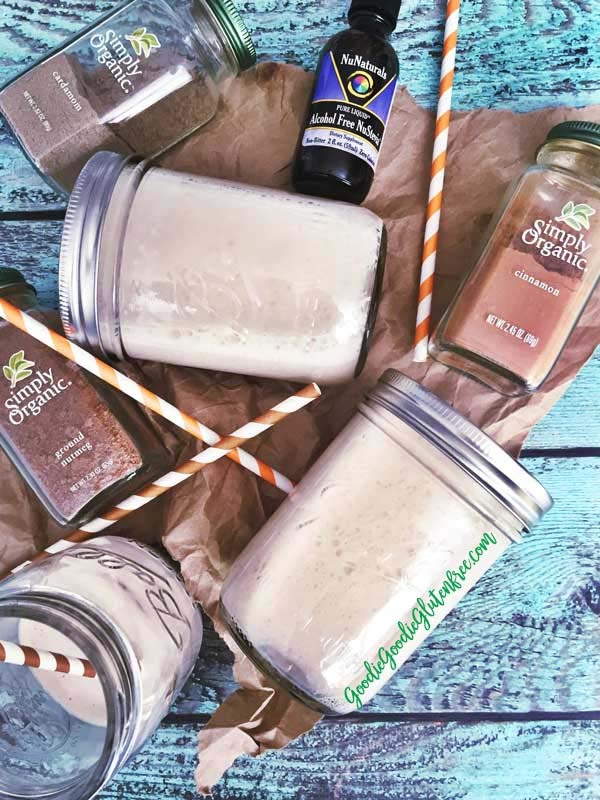 I was blown away by the ease of making my own homemade plant based milks! It became a ritual and a fan was born (that’s me). So are you ready to make beautiful music together? In a high speed blender, blend the TigerNuts, dates and water until smooth. Then take a nut-milk bag and over a large bowl strain the mixture. Discard pulp that is left in the bag. Rinse your blender and pour the thin mixture back into the your blender, add all the spices and blend well again. Store in the fridge in a glass jar for up to 2-3 days max. My favorite Stevia brand to use is the Nu Naturals Alcohol Free Liquid Stevia. If your blender is small, you will want to cut the recipe in half! That’s 2 cups of water to 1/2 cup of TigerNuts. Reduce the amount of spices and cut back your date consumption if you want it to be sweetened less. If you can, use organic spices and dates. I’m going for Pesticide free here. Do not be afraid to add more spice if you like it like that! My favorite Stevia brand to use is the Nu Naturals Alcohol Free Liquid Stevia. If your blender is small, you will want to cut the recipe in half! That's 2 cups of water to ½ cup of TigerNuts. Reduce the amount of spices and cut back your date consumption if you want it to be sweetened less. If you can, use organic spices and dates. I'm going for Pesticide free here. Do not be afraid to add more spice if you like it like that! I hope you enjoy TigerNut Milk as much as I do!